After the Kardashian couple split last month, it seems Khloe Kardashian and Lamar Odom were (understandably) ready to part with their Tarzena home. The 8,400-square-foot living space is listed for $5.49M and offers grassy lawns, a picturesque courtyard, gigantic swimming pool and outdoor entertaining spaces. 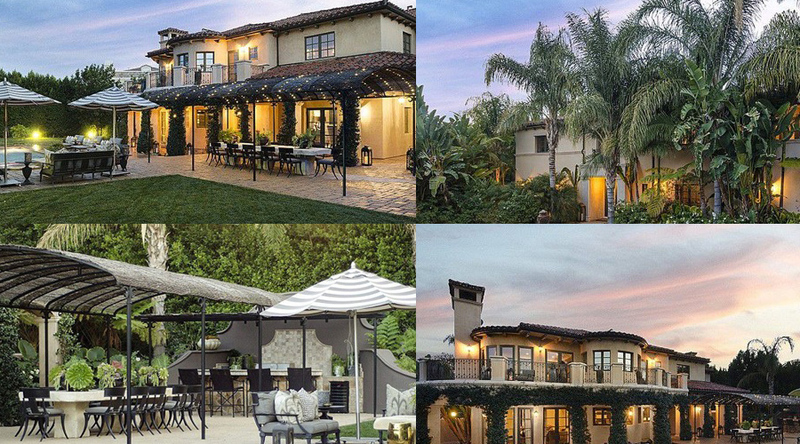 The Kardashian/Odom residence also offers a Mediterranean-influenced design, six bedrooms, tumbled stone accents, city views, an impressive master bedroom, dark wood beams and more.